Our Texas Tree Nursery grows the majority of trees in 45 gallon containers that sell for $195 each, regardless of species, except for the Big Tooth Maple which sells for $400. In addition, we grow a limited quantity of 95 gallon container grown trees which sell for $475 each and are generally 4+ inches in caliper and over 15' in height. 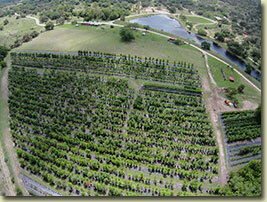 The local Texas tree nursery tax rate of .0825 will be charged on all orders unless trees are sold for resale or buyer is tax exempt. For deliveries, the delivery fee will depend on mileage, but generally it will be about $3.50-$4.00 per loaded mile from Utopia, so trees shipped to San Antonio run $350 per load. Please contact us for more information or to set up an appointment. Volume discounts are available on orders of more than 20 trees. 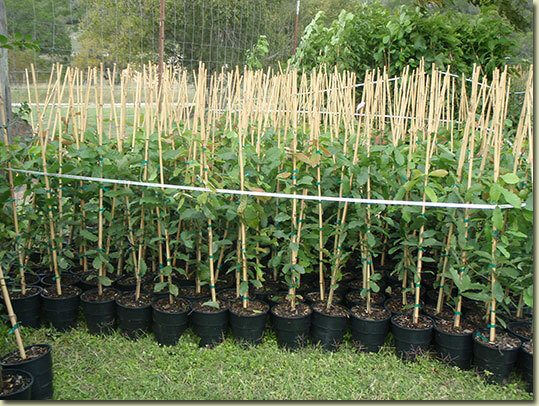 If your order is for more than 20 - 45 gallon trees, the price per 45 gallon tree will be $175. This special does not apply to Big Tooth Maple trees.